Your local garden center will always be your best resource for Little Prince plants. You’ve seen our plants at your local garden center, now you can order them straight to your doorstep! Introducing … Little Prince To Go. Little Prince® has been in business for over 20 years and we remain committed to our mission of contributing to your gardening success by providing the best quality plants combined with amazing customer service. If you’re not happy, we’re not happy! We grow perennials, groundcovers, succulents, ornamental grasses, ferns, and other rare and unusual plants. The Little Prince® brand includes unique categories of plants differentiated by how they are used in the garden. When you see our crowned frog, you know you have The World at Your Feet™. Your beautiful, healthy plants arrived, well packed and protected. It was a pleasure doing business with you and I would order from you again without hesitation~! Thank you very much~! If one were a betting man, placing a wager on the crowned frog and Little Prince of Oregon Nursery is a risk worth considering, as they seem to have the complete package — quality production, customer service and a niche market with a pulse on the future. Noted scientist Jean Rostand once said, “Theories pass. The frog remains;” and likely so will Little Prince. Little Prince of Oregon is a terrific grower. They have interesting plants that keep my designs fresh and long living. Have Fun in the Garden! Thanks! Everything you send looks fabulous as usual. Our first shipment of plants has just arrived and we are very impressed! Thank you so much for such a quality product and ease in shipping and ordering. Expect many more orders from us! Thank you! If this were a FB post, I would be hitting the like and the smile button! Thank you for your awareness and your efforts in not just saying, but also in doing. Dear Friends - Would like you to know that your business is the best run, most efficient, most pleasant and with great product. You guys are the best!!!! As always your service and plant quality can not be beat. Thought you guys might want to know I got three deliveries today and hands down your guys stuff is by far the nicest of all. I am really happy with your guys products. Looking for the next big thing? Chances are, it’s growing at Little Prince right now. Our plant offerings include perennials, groundcovers, NW natives, succulents, ornamental grasses, ferns, and other rare and unusual plants. Don't miss a single ribbeting post! Get all of the hot deals, new product alerts, and some Little Prince charm straight to your inbox. *We promise never to sell your information or bug you with spam. By submitting this form, you agree to subscribe to Little Prince's email newsletters. Thank you! Expect some goodness in your inbox. We’d love to hear from you! Do you just love your plants and want to share? Or, do you have a question or concern? Please reach out. Email is the BEST way to reach Auntie Joan as she is usually busy packing orders. 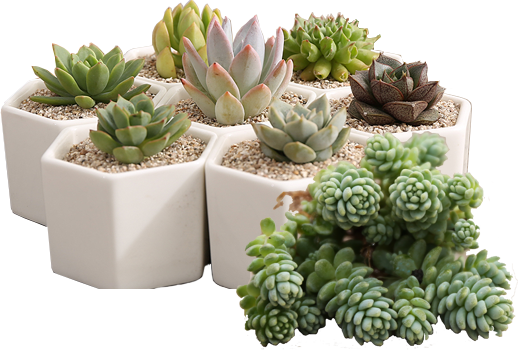 If you have general questions about plant care, make sure to visit our FAQ page.